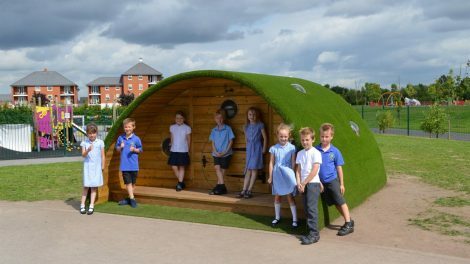 Brampton Primary School’s playground will be transformed after winning a £10,000 Lottery bid for brand new equipment. Chris Armstrong, who is the deputy’s head and is head teacher twice week, stated that they are quite excited that they wanted to share the news. He cannot believe that they won. It took quite a lot of time for fill out the forms, but they were successful so it shows that it can, in fact, be done. He added that you have to get the wording just the right way and write down on paper what exactly you want to do with it. The funds will be spent on a storytelling spot in the playground as well as a timber play train and even shelters. Mr. Armstrong stated that they are also adding 3 elements to their trim trail, which might be an assault course. This is for the kids to climb under and over as well as to balance on. They will also get a climbing wall. The teacher stated that the children are quite excited and have shared the good news with parents. The new equipment will mostly be made out of timber. The school is also hoping to get some new drums. The PTA organized a Christmas fair which was held last night. Moreover, you can visit a carol service which will be held on Friday, December 16 at 10 am in St Martin’s Church. The school already raised almost £300 for children in need during this year.